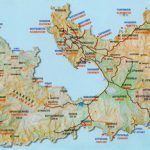 Wondering about Milos accommodation? Don't! Milos has great variety in accommodation, ranging from family hotels and studios, to romantic villas and suites. Discover traditional rooms, family apartments and small hotels in white washed buildings, offering magnificent views to the Aegean Sea and the beautiful sunsets. It is a fabulous island that is warm and welcoming to visitors. The island sees tourists from all over the world every year and has a vast array of beaches, hotels, restaurants and bars just waiting to be enjoyed. The history of Milos, Greece can be dated back thousands of years and is rich and varied. 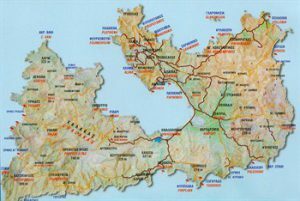 Many new visitors to the island may not realize that this is where the Venus of Milos was discovered in 1820 buried on land where the village of Tripiti now stands. It was found by a young farmer who was searching the ruins there with a French naval officer. When both parts were uncovered the statue was bought very cheaply. It now has a permanent home at the Louvre Museum in Paris. Milos is a popular tourist destination that still retains its own sense of tradition. It is not overly commercialized like other popular holiday spots in the area, and therefore manages to remain as authentic as possible while still providing holiday makers the comforts and amenities they desire. Milos hotels are for every budget. Sure you will find that one that fits your demands. It is possible to travel to Milos all year round as there are flights daily from Athens to the Milos airport. There are also several ferries which operate from the Athens port of Piraeus. Although the weather is not as good in the winter months it is still a great time to visit as there are little to no tourists and the whole island is peaceful and quiet. There are several, very popular beaches on Milos Island, some of which are fairly isolated and can only be accessed by boat. Many of them have shallow waters which make them perfect for families with small children. 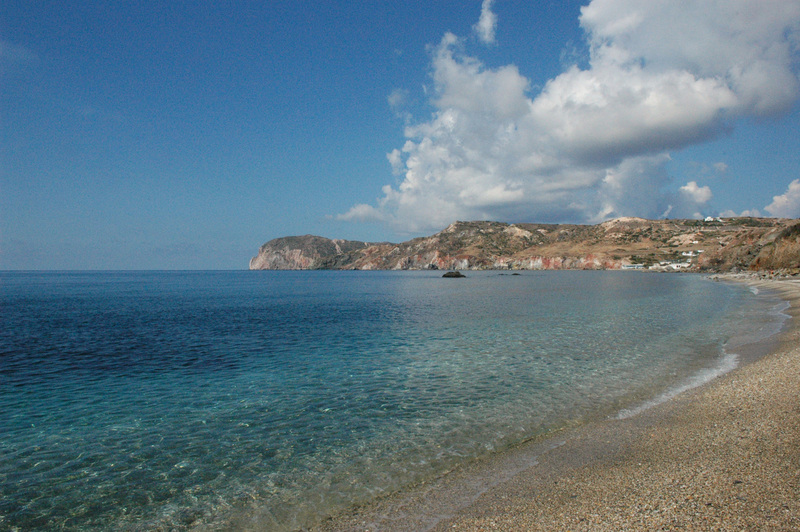 A nice beach for families and children is Achivadolimni beach, located in the south part of Milos Bay, 6 km away from Adamas. 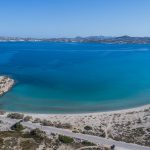 Other popular beaches in Milos (which are over 70 around the island) are Provatas, Firiplaka, Tsigrado, Sarakiniko, Kleftiko, Fyropotamos, Alogomandra and many others which you may explore while you are on the island. There is also no shortage of things to do and see on the island. Milos, Greece was once a rich mining island and there is now a museum open that explains all about the miners and the geology of the island. A trip to Tripiti village is also worth it for history lovers because as well as being famous for the Venus of Milos there are also windmills, catacombs and an ancient theater to explore. You can enjoy a beautiful sunset from Plaka. It is possible to make an evening of it, enjoy drinks and a meal at one of the delightful taverns in Plaka and watch as the sun sets on the horizon. It also helps to create the right ambience for a romantic meal shared by loved ones. For those who want to be a little more active then off several beaches it is possible to wind-surf. Anyone who refers more land based activities can enjoy horseback riding and hiking between villages. You can enjoy shopping for souvenirs and gifts and pick up a few local handicrafts, or sit in a tavern with a coffee and watch the world go by. Milos Greece truly has something for everyone, whether it is boat trips, scuba diving or snorkeling every day of your holiday can be as active as you please.